How do I protect my alcoholic beverages such as liquor, wine, or spirits from shoplifters in my store? The ultimate security for liquor, spirits, and wine is the bottle cap. Bottle caps are placed on the bottle in store and accomplish several goals. Firstly, a bottle cap provides product-denial to the would-be shoplifters. It accomplishes this by completely covering or “capping” the bottle. Secondly, the cap itself is designed to shatter prior to the cap being able to be removed. If a shoplifter tries to open the bottle while in store and either consume the contents of the bottle or pour it into another container, the bottle cap will thwart this attempt. The main advantage of having a bottle cap on the merchandise in your store is having an Electronic Article Surveillance (E.A.S.) system set up. Having an E.A.S. system will set off an alarm in front of the store if a thief attempts to steal the bottle and remove it from the store. Alpha Bottle Caps such as EASy GUARD, Crystal GUARD, and EASy Bottle GUARD provide a cost effective solution for preventing loss of merchandise whether they are stand-alone or in conjunction with an E.A.S. system. LPSI (Loss Prevention Systems) is a highly regarded national consultant around the United States regarding Alpha High Theft Solution products and Checkpoint Solutions. We have got nationwide customers, products, and countless service. Loss Prevention Systems offers more than retail loss prevention equipment. 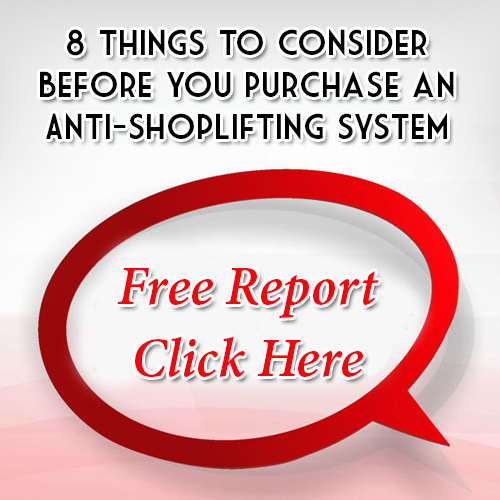 Our knowledge of retail store shoplifting permits LPSI to supply real world education and strategies. Prevent theft for good with Loss Prevention Systems (LPSI) and Checkpoint Systems solutions.